Thanks to a powerful API, countless websites and applications use the platform to power their own maps. In Eye 78’s ‘Great moments in information design’, Jack Schulze championed Google Maps, describing it as ‘one of the most omnipresent and recognisable elements in the visual landscape, with such a consistent graphic language that it is hard to think of a parallel’. But in October 2011, Google announced that third-party developers would be charged for using the API in ways that generated significant traffic. Fair enough, you might say – the quality of Google’s product is hard to fault. But it seems that this cost, combined with Microsoft’s aggressive promotion of its Bing Maps service (below), has caused a once ubiquitous canvas to disappear from some of the web’s most popular destinations. 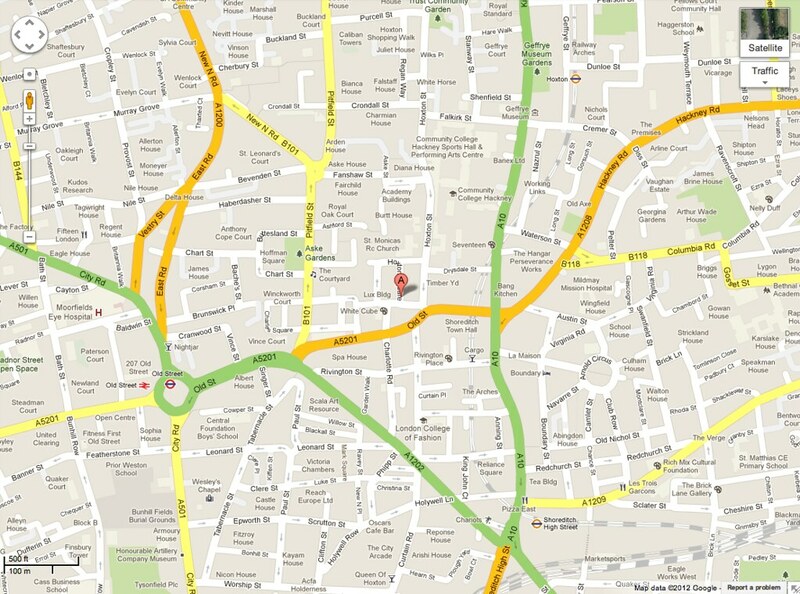 Facebook has been using Bing Maps for its location-based services since 2010. Microsoft has also been pushing the service through partnerships in huge marketing campaigns, from Decode Jay-Z with Bing in 2011, to a more recent (and horrendous) map-based game co-created with ice cream brand Magnum. 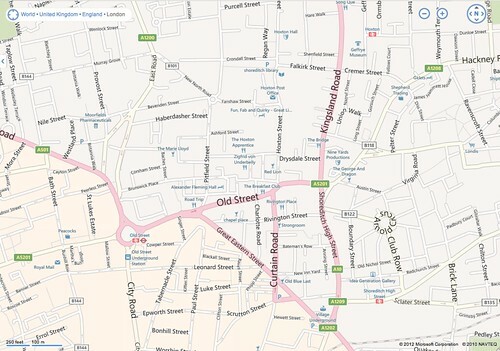 Earlier this month, Wikipedia announced that its smartphone app would switch from Google Maps to OpenStreetMap, explaining that the move ‘aligns with our goal of making knowledge available in a free and open manner to everyone’. Other high-profile services to jump ship include Foursquare and iPhoto. So how do the competitors compare? Bing has put significant work into its map design but, with its slightly drab colour palette and thin spidery streets, it still lags behind Google’s offering (and, criminally, Bing seems to have missed my local park entirely, assimilating it into the cold grey of urban sprawl). 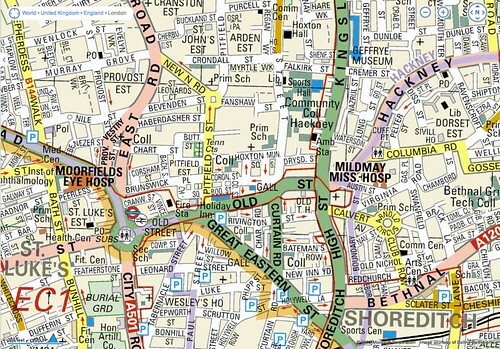 That said, the service also lets you overlay other map designs – in London, for instance, you can switch to a street map based on the pre-digital A-Z (below), or an Ordnance Survey map. A visit to OpenStreetMap’s website may give the impression that the service has a long way to go to catch up, with its spaghetti-like tangle of roads and administrative borders. 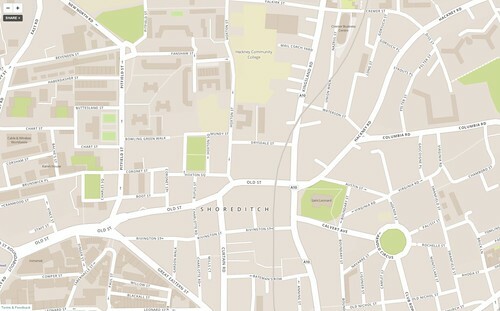 But the platform is more about providing the raw data that will allow others to create, edit and design their own maps. Third-party developers, such as MapBox, have already produced some good work in redesigning OpenStreetMap data in more palatable ways (below). Time will tell which of these services users prefer. But with a fresh air of disruption in the marketplace, it’s an exciting time for digital maps. Perhaps the next great moment in information design is just around the corner.